This is not an advice piece. I like to think out loud through my blog. Any investments you might undertake should be consulted with your financial advisor. With that said, I cannot understand why people would put money into gold when they can buy oil at a huge discount. As I type this, WTI oil is pricing at $80.91 per barrel. We haven’t seen this level since Feb. of 2009. That was the midst of the biggest financial crisis our generation has seen. Guess what, since then our economy has improved. I know it may not feel like it, but it has. Matter of fact, usage is up since January where oil was trading well over $100 per barrel. It is a fact that most oil production companies and countries cannot make a profit selling oil below $80 per barrel, so it is in their best interest to keep the prices at these levels. Believe me when I tell you that they have the power to do so. The only exception to this rule is Saudi Arabia. They can make money all the way down to $70 per barrel. I don’t want to confuse this situation too much. The real comparison is to gold. Gold traded up to about $2k per ounce and has since traded back down to the $1,600 level. That is a potential of 20% upside from here and will really only materialize if the dollar falls off a cliff with that of the Euro. Remember though, that is the only real catalyst for gold… hell breaking loose. 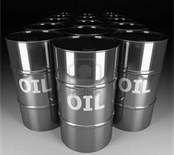 As for oil, there are many factors that can contribute to it going back over $100 per barrel which is a 25% gain. U.S. growth, improved employment numbers, a resolution of the “Euro crisis,” any strife in the middle East, or the upcoming trade embargo with Iran can shoot prices back up. I don’t know about you, but I’m thinking if I have to pay $4.00 at the pump I would rather have at least made some money on its climb in prices. July 1st is the deadline for the Iran situation. Any lack of complete agreement with them will result in a trade embargo which will significantly decrease the world’s supply of oil. I honestly hope that things don’t deteriorate, but it is a catalyst that can raise prices. If someone would like an idea of how to play it, one could buy the ETFs USO or UCO. UCO is trading at $25.63. It is a leveraged ETF and should return to $40 per share if oil trades back up to the $100 range giving you a 56% increase if you hold it that long. USO is trading at $30.49 and was trading at $40 plus when oil was in the $100 range. That would give you an approximate of 33% should oil trade back up to $100 levels. The beauty of all this is that there is a pretty damn good chance that oil will return to $100 per barrel at some point. I wouldn’t bet against it! Again, so that no one tries to sue me, this is not an advice piece. You should consult your advisor before making any decisions based on this information. Let’s start with speculation. 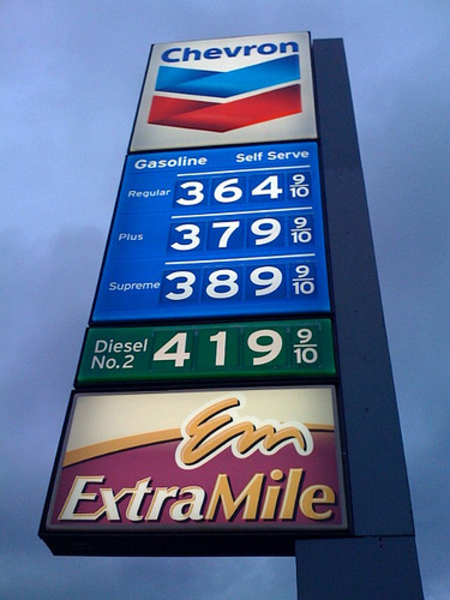 Speculation does drive up the price of oil, but remember it also drives down the price of oil! Speculation is just that, speculating on demand. This really just makes for greater swings in oil, not a simple driver to higher levels. Here’s what I mean: Summer of 2008 we had oil hovering just under $150 a barrel. Prices at the pump were in the $4.25-$4.50 range. People trading futures, options, and companies that represented oil were looking at problems in the middle east and possible limited supply. That December the price of a barrel bottomed at around $32 a barrel and at the pump around $2.65 a gallon. This right there is a very telling point. People were not decreasing demand of oil by 4.5x. In fact, actual supply/demand ratio didn’t fall by much, yet the price per barrel tanked. This was a result of insane speculation. It was a much larger swing than was warranted due to fears that our entire economy was swirling around the toilet. This important fact is also an explanation of price gouging. Realize the price at the pump has moved significantly less, percentage wise even though it is much cheaper for them to purchase the oil. This is a very important realization. The price of refinement hasn’t changed. Only profit margins increased. Oil per barrel is only 21.33% of what it was, yet they are able to charge 58.88% of what they used to. I assure you they were making a killing even though the price of oil was at $150, now we’ve just increased their profit margins. The only ones losing are the people who actually take the oil out of the ground. Let’s use the Saudi Arabians as an example. When prices were at $150 a barrel, they were rolling in money, but they didn’t set that price. Matter of fact, they were actually increasing supply as much as they could to take advantage of the prices. If you speak to anyone in the know about oil, you will find out that they need prices to be $80 or more to turn a profit, so $70 above is great for them. There are a multitude of reasons why it is dangerous to become dependent upon some of the middle east countries for their oil, but it is important to note that none of them have ever even hinted at the fact that they would decrease supply. We are their life-line. When I say we I am including China and all major oil consuming countries. We get more than 20% of our oil from Canada, we are increasing our Brazil Oil connections, and have always been a large oil supplier ourselves. So, in summation, we don’t rely too heavily on middle eastern countries for oil. They are just a player and do everything they can to keep us happy. They know they are not a necessity in this game, much like Coke tries to appease their vendors. They are the biggest and the baddest, but it comes down to keeping your customers happy. The idea that Obama has no energy plan is hilarious to me almost as much as Newt Gingrich saying he will give us $2.50 per gallon gas. Both are ridiculous. Obama does have a plan, and you cannot simplify it too much by saying he just wants to use “green energy.” What he has is plenty of supply, but two strong forces working against him. Exxon Mobile is one of the largest players in the game. They are going to sap every bit of profit out of a gallon of gas that they can. I don’t blame them because they are beholden to their stock holders and, after all, it is a profit driven business. Are we to assume that they should take losses so that you can drive to the grocery store on the cheap? No, that is ludicrous. There is the chance that companies would go out of business. The fewer refineries, the higher prices. You get the drift. Not to mention, that there is no way Obama has the pull to completely rid the stock market of speculation. Republicans are “free-market” and pro-capitalism. Is there a chance in hell that they allow him to pass legislation limiting the amount of speculation on Oil as a whole? For both of these reasons, Newt doesn’t have a chance of bringing gas down to $2.50 a gallon on his own. Why? If he proclaims “Drill baby Drill” it will only be a temporary fix. Speculation will drive prices down because people will assume that Supply will go up… This is not the case! They will only drill what is economically feasible. Exxon is NOT going to drill themselves out of a profit! As supply maintains virtually what it does already, the prices will eventually reach a norm and be subject to speculation about the next middle east squabble. Bottom line. Speculators, big oil companies, and politics all play their role, but the only way to get prices low and keep them low is to find an alternative forms of energy (which I know is a sin to say out loud), or the government has to get into oil production itself because it is a for profit game.